Aromatherapy is an ancient tradition in modern times, used to anoint, bless, celebrate, and assist in the body’s own natural healing experience. Essential oils are the life-blood of a plant that are extracted by steam distillation from bushes, flowers, roots, seeds, and shrubs. This process produces a complex mixture of compounds consisting of many elements, primarily hydrogen, carbon, and oxygen. These compounds contain molecules which determine the characteristic, fragrant influence, and therapeutic properties of an essential oil. This modality of the healing arts can be a powerful catalyst of positive change. A trained professional aromatherapist is a valuable asset to your health and wellness team by educating, providing resources, listening, emphasizing safety, and discussing your concerns. Knowledge is power in giving you control in deciding how aromatherapy fits into your lifestyle. Complete an intake form to assist the aromatherapist in gaining a holistic understanding of your healing needs. This is your time to ask questions, gain knowledge, receive approved resources, and decide for yourself how aromatherapy can fit into your lifestyle. The aromatherapist can also provide you with aromatherapy class and program information. Raindrop Technique® was created by Gary Young, founder of Young Living Essential Oils in the 1980’s based on methods used for centuries. This is a gentle, non-invasive, topical application of essential oils in a layering process to the feet, back, and spine. The single and blends of essential oils used in this technique are Valor, Oregano, Thyme, Basil, Cypress, Wintergreen, Marjoram, Peppermint, Aroma Siez, Ortho Ease and White Angelica. Essential oils may be substituted or omitted based on individual healing needs. As you gently absorb these therapeutic quality essential oils, their action does all the work inside to assist the body in its own natural healing process. The intention of this modality is to promote emotional well-being, mental clarity, physical support, and spiritual relaxation. Our feet carry our entire load and we put a huge amount of pressure on them every day. Two crucial functions of the foot is to aid balance and to receive necessary minerals, oxygen, and energy to help keep it moving easily and constantly. Soak your feet in mineral enriched Himalayan salt crystal infused with oxygenating therapeutic quality essential oils to give you the comfort, relaxation, and support you are looking for. When we are in control of our emotions we are at peace. Thoughts involve thinking, feelings are impressions or reactions and emotions are energy in motion that are manifested by our reactions. The influence of emotion determines our thinking, perception, what we remember and our behavior. The body, mind and spirit are connected so emotional well-being directly effects our physical and spiritual well-being. Essential oils have chemical components that have a fragrant influence and inhalation is the quickest way to reach the emotional center of our brain. Essential oils have relaxing fragrance and stimulating odors to help alleviate the occasional blue feeling, are mood elevating and help manage stress and frustration. Essential oils are aromatic, oxygenating and stimulating which can reduce absentmindedness and improve mental clarity. Direct inhalation and diffusing can stimulate, topical application is effective, oil infused warm compresses speed up the absorption, aromatherapy baths are invigorating and brushing an essential oil through the energy field can promote harmony and peace of mind. Essential oils promote vitality. We all can relate to the minor aches and pains associated with daily life. The practice of self-care is necessary to promote and maintain a healthier existence. We absorb what is topically applied through the layers of our skin, the largest organ of our body. Essential oils have many chemical constituents and blending in safe concentration creates a synergy of support for our physical well-being. Topical application of an essential oil can be a cooling, calming, warming and soothing experience. These actions support healthy joint and cartilage function, help relax muscles and healthy bone structure, aid in maintaining normal cellular regeneration, improve nutrition thereby optimizing health, help alleviate nausea and maintain healthy intestinal flora, are antiseptic in topical application, promote healthy skin, help reduce the appearance of aging, help maintain blood sugar and cholesterol levels already in the normal range, support sinuses, boost stamina and energy. Our spiritual journey in life is very personal. Whatever our spiritual beliefs or expressions of gratitude are, it moves us to our core. The oils of ancient scripture were associated with divinity and this practice continues in modern times. The fragrant influence of an essential oil helps the mind to focus, concentrate and relax. This enables us to experience deeper thought in prayer, meditation, intention and gratitude. There are many suggested essential oils to aid in acceptance, generosity, humility and the willingness to receive. 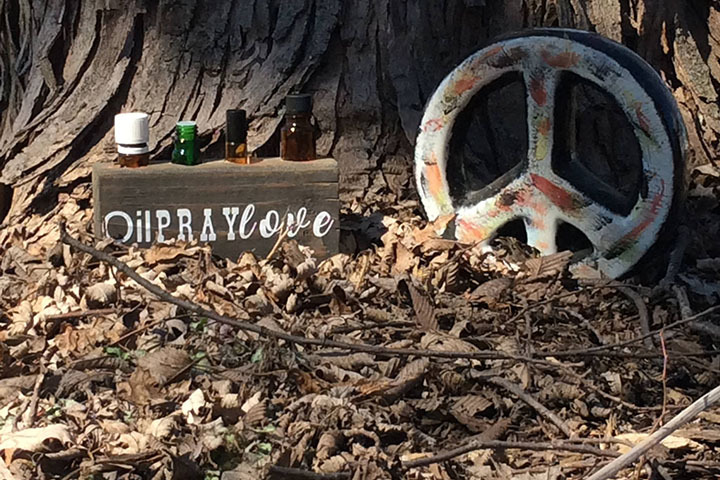 Anointing ourselves with essential oils can promote spiritual relaxation and a more peaceful existence. Essential oils are aromatic volatile liquids distilled from shrubs, flowers, trees, roots, bushes, and seeds. They are the powerful life-force, bio-energy, “immune system” of the plant. 2. How do essential oils help us? An essential oil has a very complex chemical profile of compounds, elements, molecules, atoms, protons, neutrons, electrons, terpenes, monoterpenes, phenols, etc. The chemical structure of essential oils in comparison to human tissues and cells have comparable characteristics. Essential oils are compatible and accepted by the human body. How our body responds will be different for each one of us based on our chemical profile, lifestyle and concerns. Essential oils assist the body in its own natural healing experience. 3. Are essential oils safe? Essential oils that are adulterated or “synthetic” and labeled incorrectly present dangers that can be detrimental and do not have any therapeutic value. There is a strict, “gold standard” of testing and there are very few essential oil companies that meet these standards. What we breathe in and topically apply does enter our body so it is safe practice to only use essential oils that meet standards of AFNOR (Associated French Normalization Organization Regulation) or ISO International Standards Organization). There is no current government agency in the U.S. responsible for certifying the quality of essential oils which means what you find in your local retail, grocery, health food store, and online could be mislabeled and do not meet the standard of the organizations mentioned above. It is important to do your own research, know what questions to ask, and add an aromatherapist to your health and wellness care team. 4. Why do I need an aromatherapist? An aromatherapist does not diagnose, treat, prescribe or claim to cure, but rather works within the scope of practice to educate and empower you to to make decisions for your own well-being. Essential oils are a powerful catalyst to health and wellness, deserve our respect and users should be educated for safe practice. Pinterest, Google and much of the published information you find should be looked at with caution. Some publication is compilation copied from other aromatherapy books, therefore misinformation is repeated. 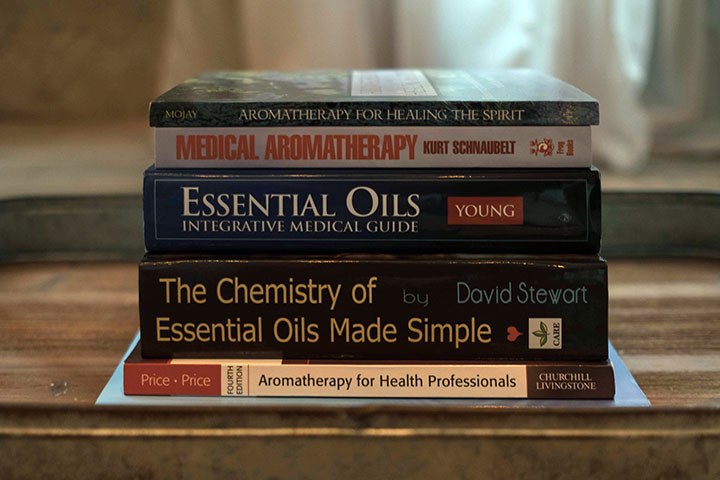 A certified and trained aromatherapist is educated based on research and studies and will provide you with approved resources, literature, and information regarding aromatherapy classes and programs. 5. What happens during a consultation? This is a time for the minister practitioner aromatherapist to answer questions about essential oils and explain her scope of practice. The client completes an Intake form and presenting concerns to give the practitioner a holistic understanding of healing needs. The practitioner may custom blend a solution to take home for immediate need, blend a solution for a later date, or assist the client in acquiring essential oils and other products recommended. The client should bring a notepad and writing utensil to note recommendations and references. 6. How do I prepare for a Raindrop? It is recommended for new clients to schedule a consultation prior to booking this session. It gives the minister practitioner of aromatherapy a holistic understanding of needs and determine if this is a recommended modality. This can also be determined at the time of assessment and discussion prior to the session beginning. Pure essential oils are highly concentrated and may stain clothes, nail polish, and react to synthetic personal care body products. The practitioner will do her best to avoid polish on the toes. Please arrive in comfortable clothing, hydrated, and remove all jewelry. The recipient’s feet and back will be exposed and must be clear of synthetic personal care products prior to essential oil application. There are showers available or you may request the practitioner clean those areas. 7. Do you have gift certificates? Yes, you may purchase gift certificates in any denomination directly from our aromatherapist.